Grandpa and Grandma started the tradition. It had long been part of the family celebration when I married into my wife’s family. But I gave it the name it has gone by ever since — The Christmas Eve Junk Food Extravaganza. We gather in the home of Grandpa and Grandma and set out plates of cookies and pies and cakes and candies and anything else that’s sitting around. The dining room table is piled high as the grandkids and cousins and aunts and uncles fill their plates. We always eat far too much, but it rarely looks like we’ve made a dent in the food. In recent years, Grandma has started introducing healthy foods, like vegetables, into the mix. We tease her about it, but nobody really minds. When we finish eating, we gather in the living room. There is a lot of musical talent in the family, so the grandkids take turns playing the piano while everyone sings Christmas carols. I’m not much of a singer, so I volunteer to read Luke 2 every year. Christmas day starts slowly. Grandma always makes a big breakfast. The grandkids know there are presents, but they also know none of them will be opened until the adults finally finish eating and chatting. When we finally make our way into the living room, we find all the kids huddled around the tree. Dinner is in the middle of the afternoon. Grandpa always starts with a prayer of thanksgiving to the Lord for becoming a man, dying for our sins and rising again to give us life. The main course is always ham, so tasty and delicious it’s like eating candy. And, of course, the other dishes include seafoam salad, a concoction made with jello, Cool Whip and pears which tastes far better than the name would indicate. In the evening it’s time for another tradition. Again, Grandpa and Grandma started it long before I arrived but I am responsible for the name — The Hokey Film Festival. We watch Holiday Inn or Christmas in Connecticut or some other old favorite. Even the kids, who normally couldn’t be dragged kicking and screaming into a room where a black-and-white movie is showing, gather around. The day after Christmas has traditions of its own. My brother-in-law and I take off in his truck, with whatever kids want to come along. We explore the backwoods of Arkansas looking for remote trails to hike or waterfalls to explore. Grandma, the aunts, and whatever kids want to tag along, head into town for shopping and a nice lunch. Grandpa mostly stays home alone and sleeps. That’s his own tradition, and he enjoys the break in the busy season. The grandkids are mostly grown now. Some of them have kids of their own. The family is more spread out and not everyone makes it every Christmas. But we continue the traditions with whoever makes it. Traditions are important. The kids love the togetherness of having everyone in the same room singing or listening to the Scripture or watching old movies. It’s safe. There’s no pressure to be someone you’re not. No worries about whether you’re accepted. Everyone is equally important and equally loved. It’s a haven. And that’s exactly what family is supposed to be. As a grandparent, you are in the perfect place to emphasize the traditions in your family. If you don’t have any, it’s never too late to start. Whatever traditions you have, see them as a platform for ensuring that the main thing remains the main thing. Make sure the story behind Christmas is told well and given prominence in all you do. 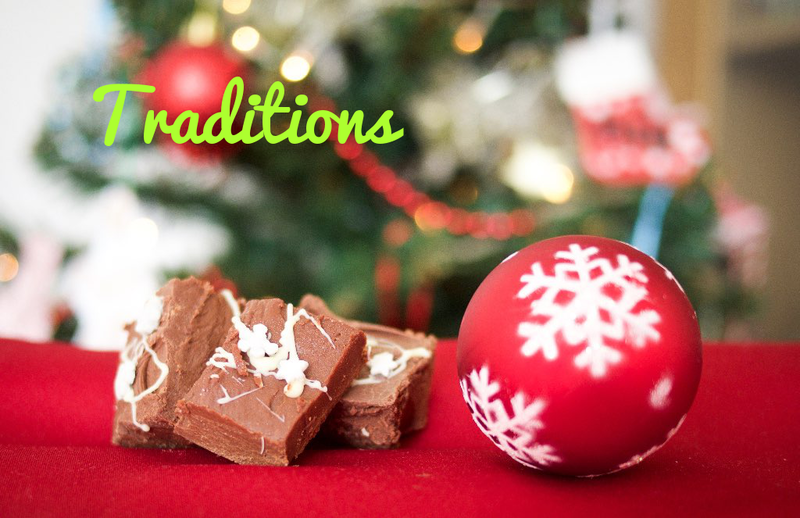 After all, traditions should help us remember why we have the traditions in the first place.